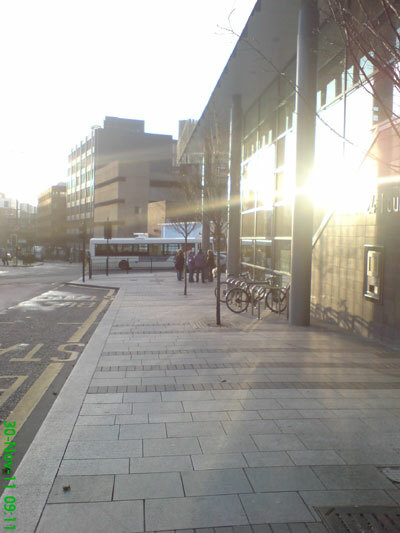 Passing the library in town I noticed a small group of people joining in with the strikes going on today. 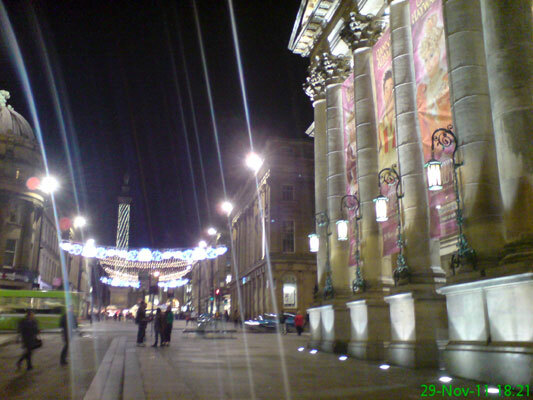 The Theatre Royal always looks lovely when lit up but even more so with the Christmas lights on Grey Street. 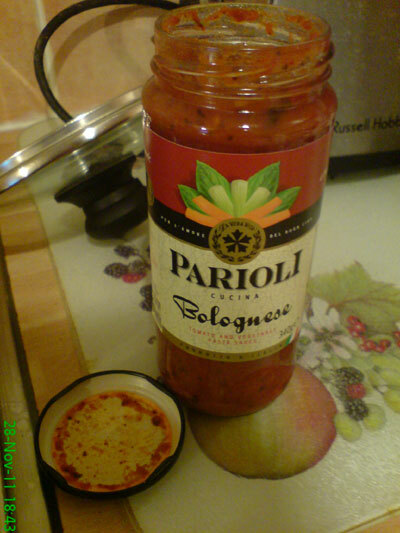 As with many other boring days, I resort to taking a photo of what I'm about to have for tea. The tragic news that one of my all time favourite players, Gary Speed, had taken his own life. RIP. 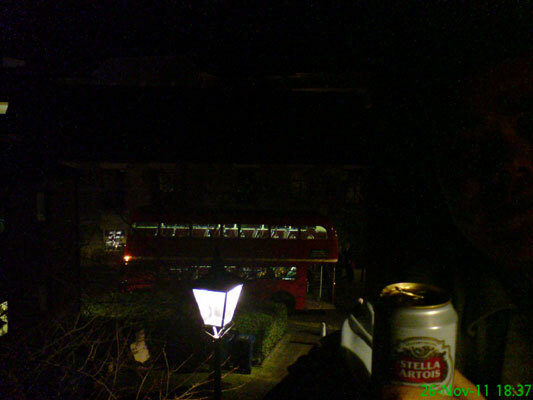 Rather randomly, there was a red London bus parked up outside Blackfriars. 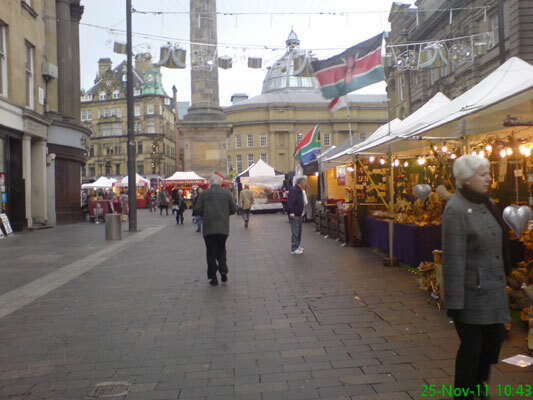 The Christmas Continental Market at Monument. Thankfully the rain stopped me spending a fortune there. Some of the smells coming from the food places were incredible. 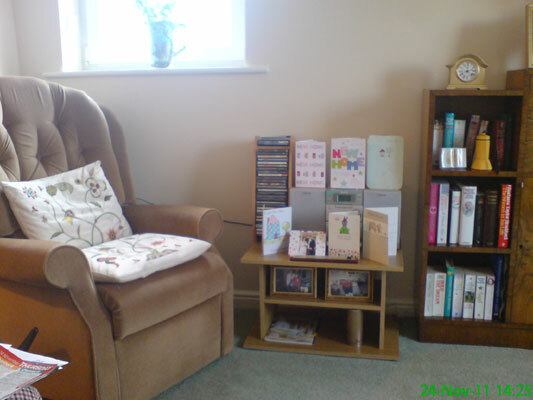 My Gran has finally moved into some lovely sheltered accommodation and is settling in well. Today's viewing choice: the 2001/02 and 2002/03 season review DVDs. 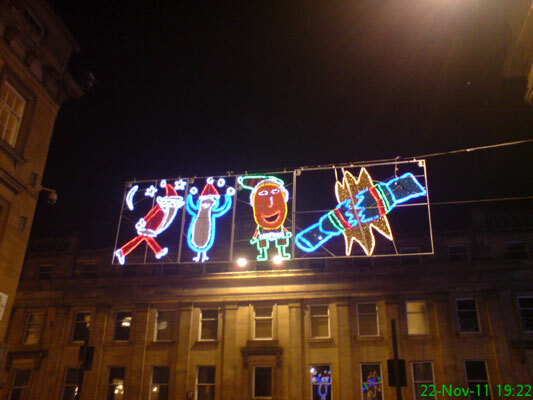 A pretty weird selection of Christmas lights which would appear to be: skinny Santa, Mr Hankey from South Park, Mr Potato Head with an elf suit on and a Semtex-laced cracker. 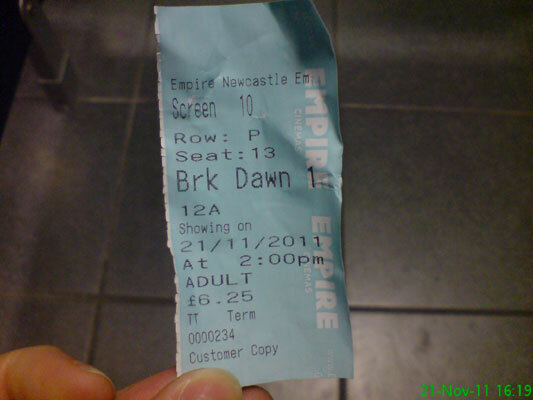 What better way to start a week off work than with a "guilty pleasure" film. 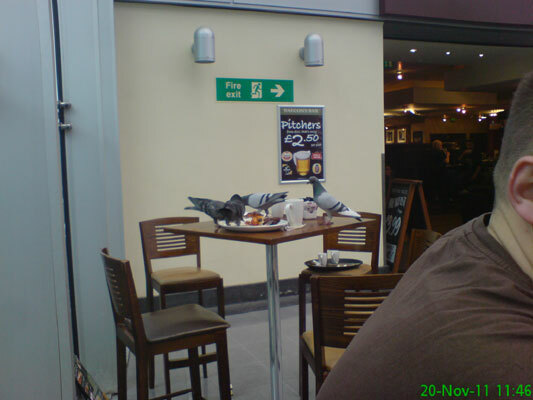 Pigeons finishing off a breakfast outside the Balcony Bar at Manchester Piccadilly Station. 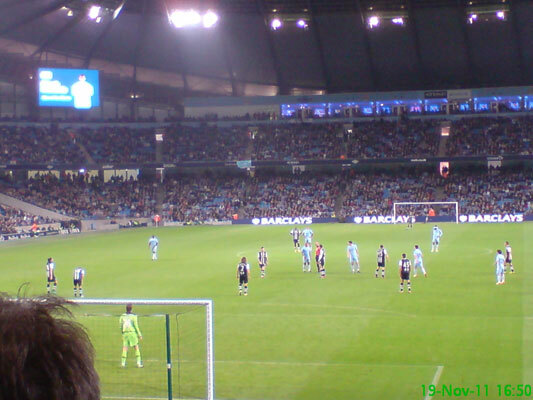 A slightly flattering scoreline, but I'm there to see Newcastle's first league defeat of the season. 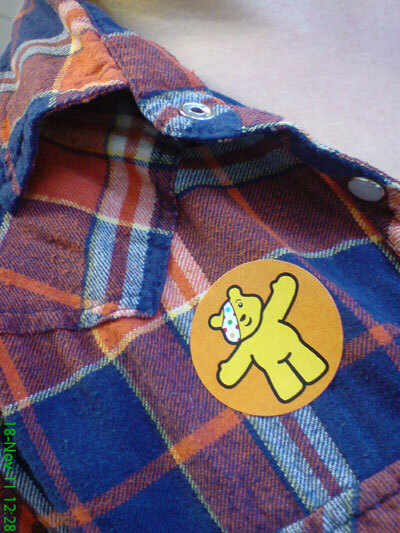 I received a Pudsey Bear sticker for donating to our buffet at work. Obviously in return for a huge mound of food. 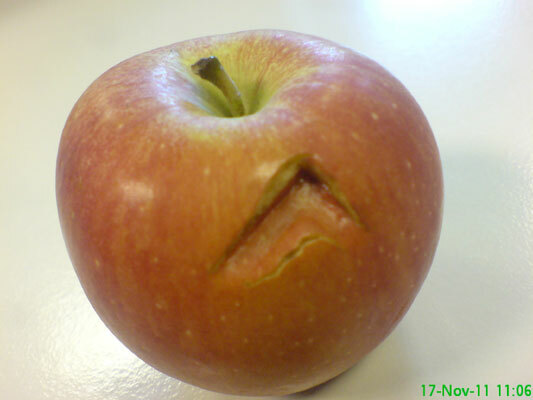 Unfortunately some sort of item with a corner seems to have lodged itself in my apple. 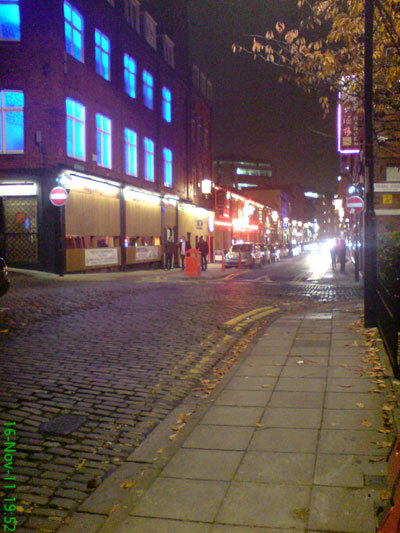 The view down Stowell Street as I wait for my lift to netball. 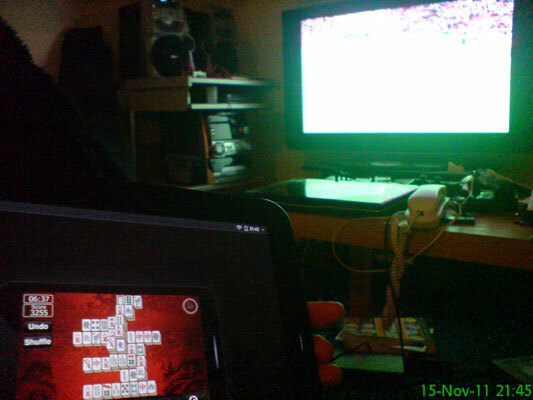 Not the sun shining out of the TV, but England beating Sweden 1-0 while I play a game of Mahjong. 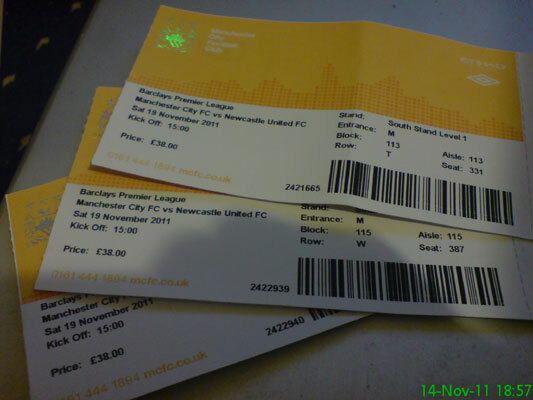 Tickets for myself, Michael and Matty to go and see Newcastle play Manchester City away at the weekend. 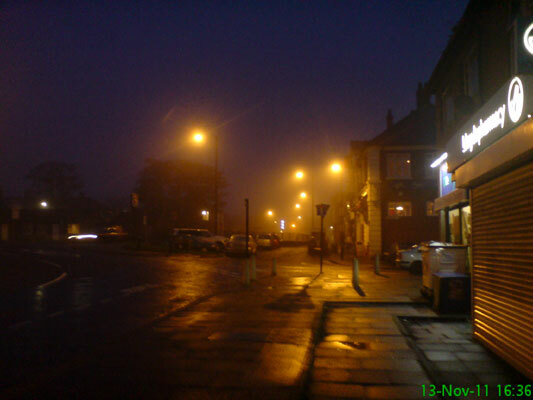 A beautiful misty day in Forest Hall. 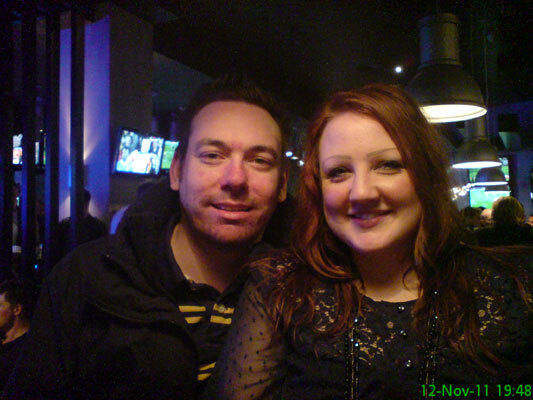 Stu and Ali in Shark Club, trying out some table service. 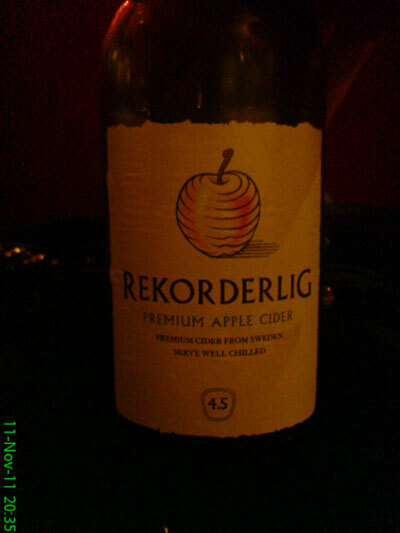 The latest of the many ciders I've been trying. I swear I didn't know this was coming when I took yesterday's photo. Newcastle's owner Mike Ashley decides it's been a while since he gave the fans something to complain about so having just sold several thousand extra season tickets in a reduced price deal, he decides to name the stadium after his tacky sports company. 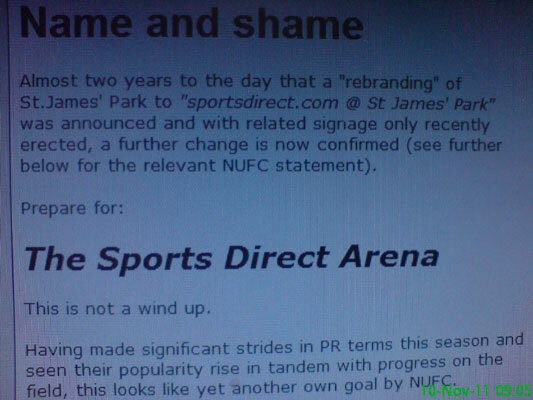 This is NUFC.com's take on it. 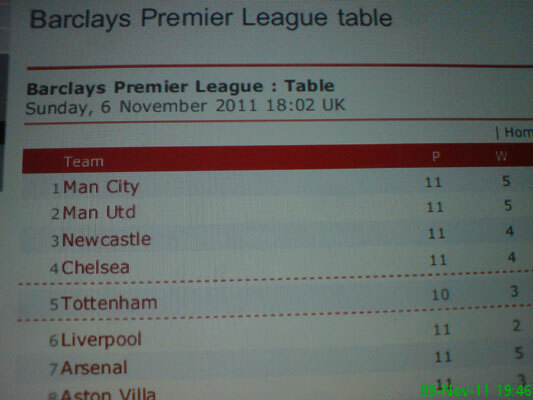 Amazingly I haven't done this one yet this season, despite us creeping up into 2nd for a brief moment. 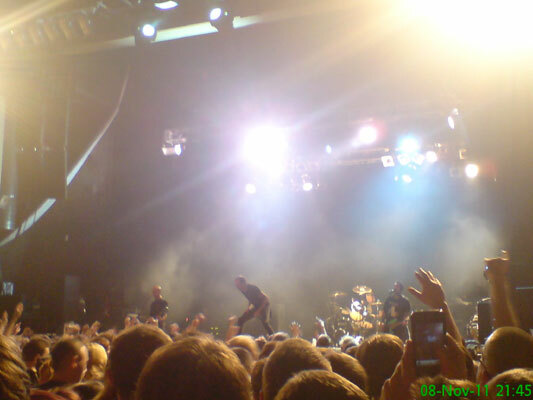 I think I could just about cope with finishing here..
A visit to Newcastle O2 Academy to see one of my favourite bands, Rise Against, who were excellent as always. 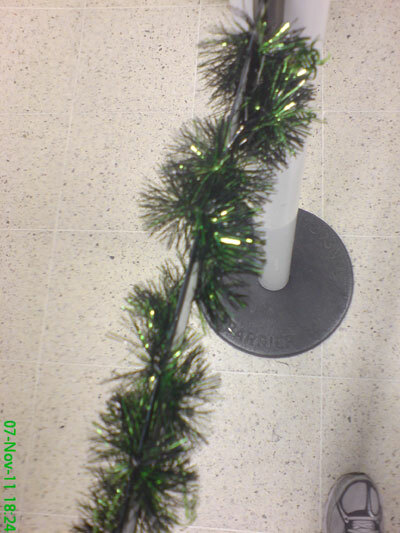 This can only mean one thing - Christmas is coming. I refuse to feel festive in November. 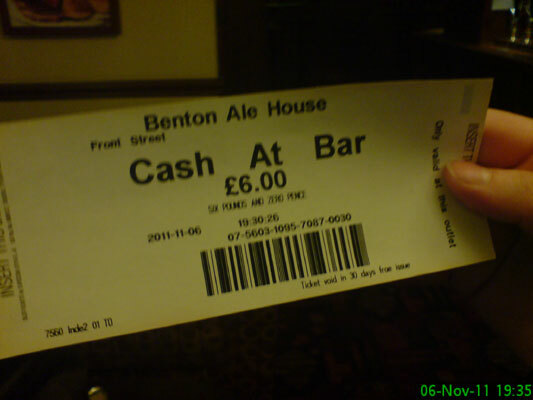 It's not often I end up with a printed ticket from a quiz machine instead of cash - the Benton Ale House is a strange little place though. 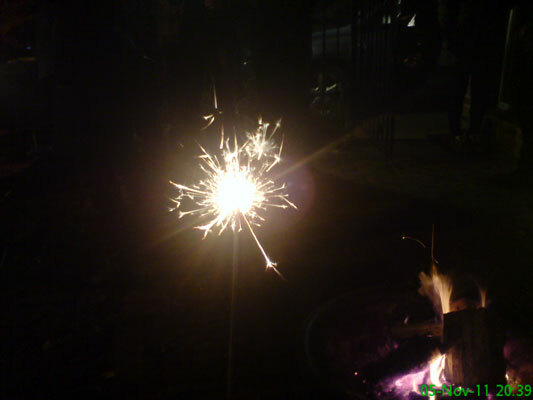 I went to Nasser & Sophie's Bonfire Party and played with sparklers. 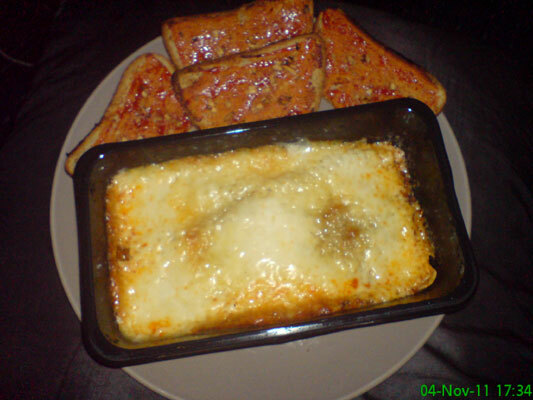 A fairly uninspiring Friday tea: lasagne and chilli tomato garlic bread. 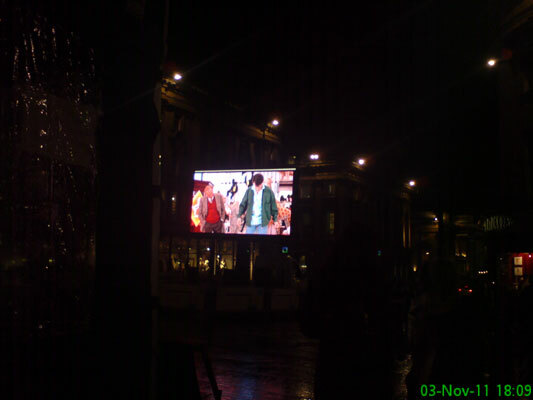 A crowd of people braved the rain to watch Big on a screen at monument. I chose to hurry home for tea instead. 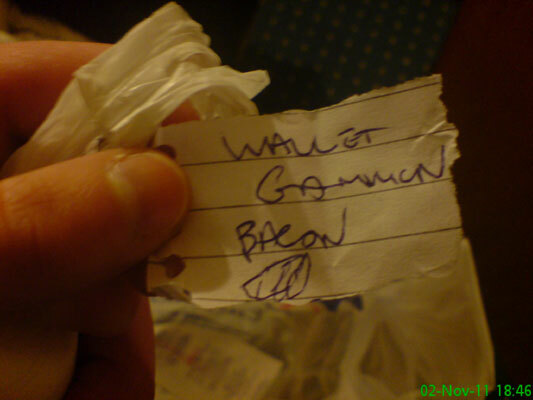 I found someone else's shopping list in my basket at Tesco. I hope they didn't forget anything. 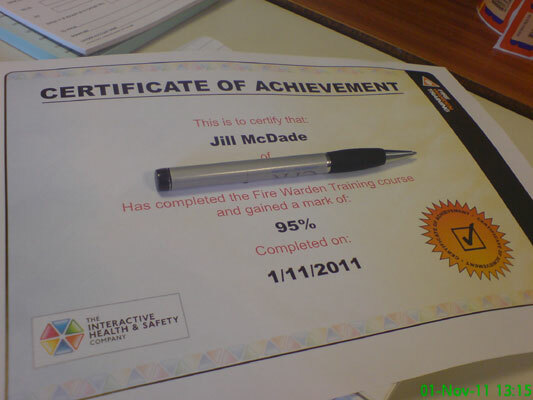 I spent a peaceful morning alone at work completing a Fire Warden Training DVD. This is the certificate to show I passed.